« Tilled and Ready to Grow! 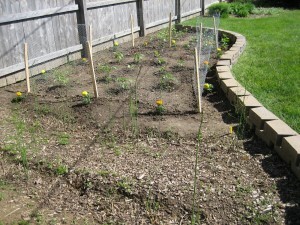 Garden Update – All Planted! 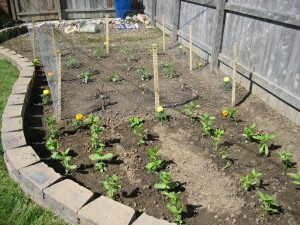 This year’s garden is dedicated to Whiskers (aka – Crimson) who was killed the other night by a predator at his new home. 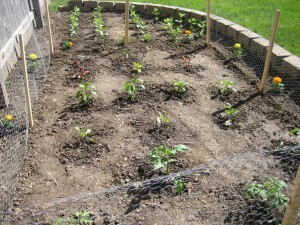 The weather has been perfect, so I’m hoping for a bumper crop this year! I’m jealous. We’re still having cold weather here so all I’ve planted are herbs. You’re going to love the green zebra tomatoes! You must have sent the cold in this direction… it was back in the forties at night here over the weekend! Looking forward to tasting the zebras.